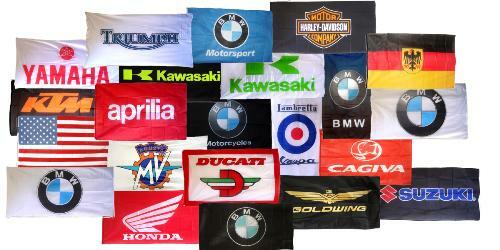 We stock New and Used BMW motorcycle parts and accessories for most models 1955 thru 2005. In late 2017 we brought home 10 later model (1990-2015), very low mile, never wrecked BMW parts bikes, that we were lucky to buy from a closed mechanics school with an agreement that we must part them out; Before we parted them out we got each of them started, and then rode each of them to test out the drive train, ABS, and other components (videos are available). So far we have parted a 1993 R100GS with 3,000 miles, a 1999 R1200C with 36,000 miles, a 2001 R1150RT with 3,060 miles, a 2003 F650CS with 729 miles, a 2004 K1200LT with 6 miles, a 2004 R1200GS with 3 miles, and a 2005 K1200S with 670 miles. A 2015 R1200R with 12,798 miles, a 1997 K1200RS, and several more late model BMWs will be parted soon. Just click on the "Pre-Owned" button to the left, then scroll down to the list with photos. Hit the RED "See details" button on the right of each listing to see the details and more high resolution photos. 1973 R75/5 SWB Complete Restoration, White w/Black Pinstripes (new paint), powder coated frame, rebuilt motor, plus much more. Hopefully finished in June. 1972 BMW R75/5, Black, Toaster Tank. 57,517 Miles. Bike going back together now. 1972 BMW R75/5, Black, Toaster Tank. 47,332 Miles indicated. Wixom Saddlebags, very clean and mostly original (has MAC Mufflers). During April, we will be putting this one back together with a powder-coated frame assembly. 1991 R100R, Purple. Fresh 10K Service. 17,535 Mi. VERY CLEAN!!! SEE Listing on "Pre-Owned" page. 1987 K100RT, Blue. 13,356 Mi. Cosmetically rough. 1997 K1100LT ABS, Aspen Silver. 68,634 Mi. Just completed Major Service. Photos soon. Due to numerous requests, we have begun to list some of our not running BMW "Project" Bikes. Please scroll down to the middle of the "Pre-Owned" page. Each motorcycle listed has a "Catagory" directly under the year & model; look for "Project Bike". There you will find photos and descriptions of several Vintage BMWs that are not running, and that we will not have any time to rebuild anytime soon. Perhaps there is just that model that you have been looking for. QUALITY, REASONABLY PRICED New, Used & Aftermarket BMW parts & accessories and Used & Reconditioned BMW Motorcycles. Our SERVICE DEPARTMENT is fully equipped and our staff has many years of EXCLUSIVELY BMW experience. We have a large selection of OEM and aftermarket parts and accessories. You can order some of our most popular items through our on-line catalog. Make sure you visit our 'Specials' section for super deals on limited quantity items that we will search out for you every chance we get. We have many Quality, 'READY TO RIDE' BMW cycles in stock. To see some of them, click on the 'Pre-Owned' button. (on left, near top) More will be posted as we get them serviced. Our BMW Motorcycle Salvage department has numerous 'project' bikes to choose from. More will be arriving regularly. The Blue "E-Mail Us" button at the lower left is only for comments and suggestions, NOT Parts requests. Please use the large BLUE button that says "Parts Requests" in RED to reach the parts request form.